Elizabeth Arden Green Tea is a beautiful combination of fresh citrus notes with a touch of musk and tea, for a fresh but very feminine sensation.Elizabeth Arden Green Tea EDP has all of the uplifting, feel-good benefits of Elizabeth Arden Green Tea in its most concentrated, enhanced form. 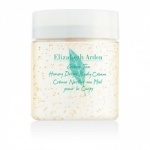 Elizabeth Arden Green Tea EDP is stronger and more sophisticated, with a rounded and elegant finish. This bath and shower gel features a softly foaming, soap-free formula that cleanses without stripping your skin of natural oils. 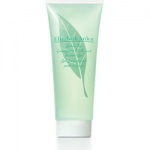 Elizabeth Arden Green Tea is a beautiful combination of fresh citrus notes with a touch of musk and tea, for a fresh but very feminine sensation. Soften, soothe and condition your skin with our super moisturizing all-over body cream infused with a blend of real honey and fragrant green tea.